Desi Smith Staff photo/Gloucester Daily Times. 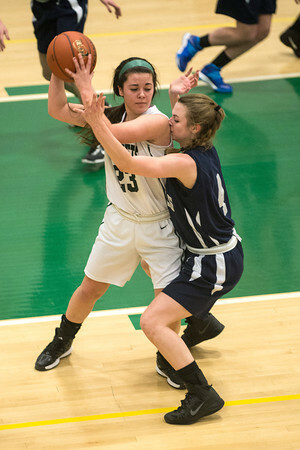 Hamilton-Wenham's Haley Willis gets an elbow to the face defending Manchester Essex's Sydney Christopher Monday night at Manchester High School. January 27,2013.